The experts at Mile High Kia’s service center have a thorough knowledge of Kia car repair. Butte's Mile High Kia also has plenty of used cars, SUV’s and Trucks. Our Montana dealer inventory includes car makes and models from a variety of manufacturers. Our Pre-owned vehicles are in excellent condition and hand selected for our lot. Check for used car specials at our Butte dealership, including cars for sale under $10,000. Our Kia Service Center is equipped with state-of-the-art diagnostic equipment and staffed by expert technicians trained in all aspects of servicing Kias. Southwest Montana-area coupons are often available for an oil change, brake inspection, battery check, wheel alignment and more. A full range of Kia service is also available, from regular vehicle maintenance to auto body repair. We use genuine Kia parts and accessories to keep your car in top condition. 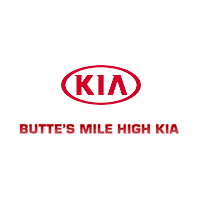 The Butte's Mile High Kia financing department is available to answer your questions and provide leasing and finance options at our Kia dealer near Butte, MT. Kia lease or financing can be easily arranged by our dealership professionals. Be sure to take a look at our Kia specials and factory offers on new luxury cars for sale.